Blogging and Content Marketing Archives - Page 2 of 6 - Go Creative Go! I hate to see Twitter used improperly. As it’s my favorite social media platform, and the place I spend most of my networking and content curation time, it really grinds my gears to see the prolific promotion of out of date information and ideas. The idea that content can be timeless is great. But we’re too quick to tie a bow on what we consider evergreen, ever valuable content. Here’s the deal. Evergreen trees are living things. Yes, they live long and fruitful lives. But they don’t live forever. Same goes for your content! It isn’t immortal. Your content is going to eventually lose life and luster. I Thought This Article Was About Twitter?!?! It is, it is. I promise. But it’s also about how you share content with Twitter. The fast pace and short shelf life of a tweet often causes sloppy sharing, and that really bugs me. It seems to me that when you’re trying to make the most impact in the shortest time frame, you should take the time to share smartly. To me that’s just common sense. When you’re attempting to showcase expertise and knowledge, it’s imperative that every link you share actually brings value when it’s clicked and read. So, you might ask, how do I ensure that my shares are smart and savvy and seriously showcase my value to my audience? READ Before You Share. EVERY TIME! When it comes to ensuring you’re not sharing sadly out of date information, there’s one single, simple, golden rule. READ before you retweet! No matter how trusted the author or site, you’ve still got to vet the content for viability and value before you spread it around. My Twitter feed is a fast, frenzied, frenetic place. And I love it! What I don’t love so much? Seeing your smug mug taking over a full screen of my feed that spans minutes, sometimes even seconds. Spread that shizz out, tweeps! When you scatter-shoot your shares this type of “hey, see how often I’m tweeting” fashion you make it hard for your audience to deduce which of the shares is worthy of the click. You create confusion and frustration. Do you generally choose to do business with someone who leaves you confused and frustrated? I’d bet the answer is a big, fat NO! That might sound a little simple and you might want to call me Captain Obvious, but hear me out. How often do you see a tweet that’s 140 full characters of hashtag frenzy, plus a shortened link. What the heck is the article about? You can’t read the title in the link, as it’s been shortened to allow for more hashtag hurrah! 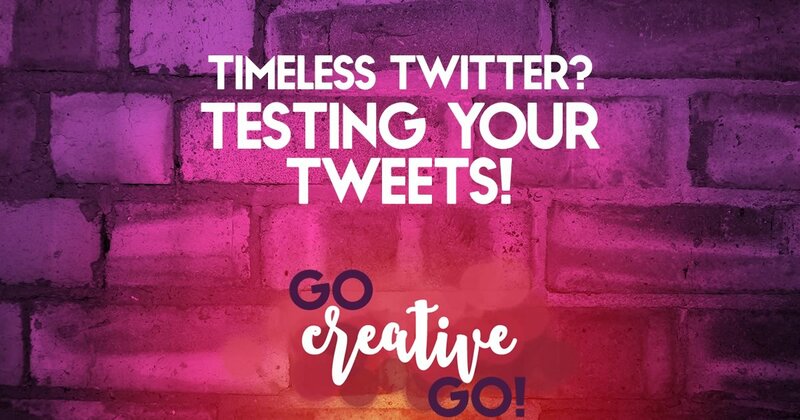 If you want your tweets to target your audience in a timely fashion, you need to ensure you take the time to craft that tweet. I dare say that crafting a terrific tweet, a tweet that draws clicks and prompts retweets, is an art form. It takes skill, testing, trial and tribulation. So, Can Tweets Really Be Timeless? One of the best things about Twitter is its speed. That speed means it’s often a-okay-hunky-dory to share an article or an idea more than once. In a smart fashion, of course. But when you’re using Twitter as a means to promote the content you’ve created, which is one of the main reasons many of us interact on Twitter, you have to factor in the timelessness of your content before you can calculate the timelessness of your tweet. Content care (content audits, rewrites, reposts, etc.) goes hand in hand with creating a great Twitter strategy. If you want to fill your Twitter feed with timely and timeless content that creates trust and respect for your expertise, you’ve got to create a content strategy that keeps that content timely, valuable and viable. So?!?! Was this article about Twitter or content marketing? Both. They go hand in hand! ENOUGH! There Is NO Single Best Time For Social Media! 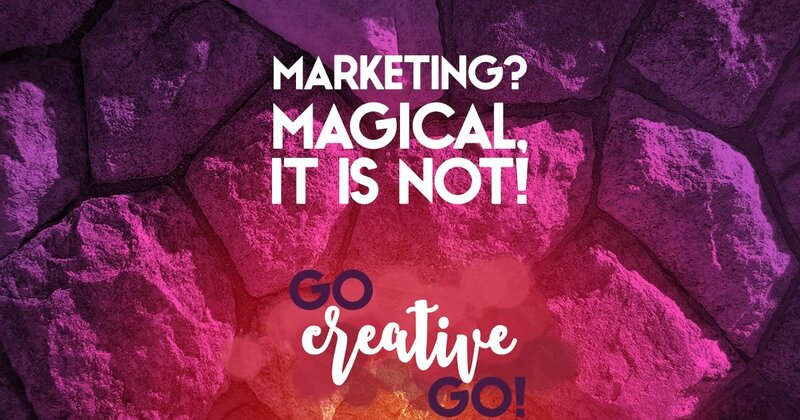 Why is it that so many awesome things are endangered or facing extinction – the black rhino, the Iberian lynx, the Tasmanian devil, numerous native tree and plant species – but we’re flipping bombarded with craptastic social media marketing advice? That’s all I can stands, I can’t stands no more. What’s got me on this tear? The publish and promotion of social media articles and infographics “sharing” the best time to post for maximum reach, reaction, engagement and more. There are SOOOOOO many reasons these articles and infographics grind my gears, but I don’t really have the time to write a novel and don’t think you’re game to read tens of thousands of words on the subject. So, I’m sharing just a few! Let’s Talk About Time Zones! So, let’s think about this. Let’s say we’re told that 9:23 AM is the BEST time to post to Twitter (I’m just making this up, of course). But is the 9:23 AM Eastern? Central? Mountain? Pacific? And that’s only spanning the time zones that cover the continental United States. What about daylight-saving time? You get my drift, right. I’ve never seen an article or infographic detail the differences in “best time” social media sharing based on audiences that span multiple time zones. Most people running a digital business find themselves with a following that spans countries, if not the globe. 9:23 AM for me, in my EST space, is 6:23 AM for my family and friends in California (PST). While many of them are early risers like me, there’s no guarantee that they’re sitting ready and waiting to see what I’ve posted as the sun rises on their day. The most recent “best time” share, the one that prompted this article, shared lots of best time information for the big social media platforms. It detailed the “best” times to post to Facebook, Twitter, Pinterest, Instagram, Linkedin and even Google+. Then, and this is what I found ludicrous and laughable, the author turned his back on those “best” times and touted a smart posting window that stretched from 9 AM to 7 PM. What? A ten hour window is pretty wide. You wouldn’t accept that from a service provider. Imagine if you were getting cable TV installed and you were told the installer would arrive between 9 AM and 7 PM. No bueno. 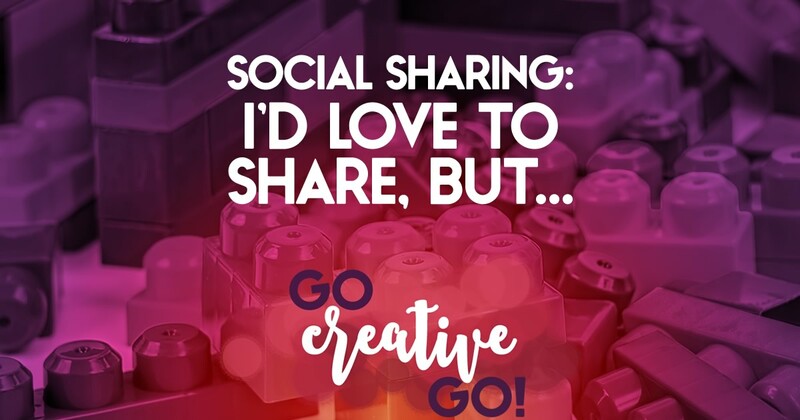 It’s not one bit different when you’re lead to believe you’re going to get the golden goose and finally know the absolute bestest single time to post a scintillating social share for your audience. Even less bueno! The lifespan of a single social media post depends on so many factors. The platform. The size of your audience. The speed and breadth of that audience’s feeds. The time of day your audience is active. The popularity of any hashtags used. The addition of a visual prompt. The value or vibe of the post itself. The lifespan of a tweet is different than the lifespan of a photo shared to Instagram. The likelihood of you seeing a specific Facebook post is different than the likelihood of you seeing a specific Google+ or Linkedin post. And, digging a little deeper, you can’t easily compare the lifespan of one tweet, post or share with another. Did they have the same hashtag? A photo? Was it a conversation starter like a question or a link out to your content? 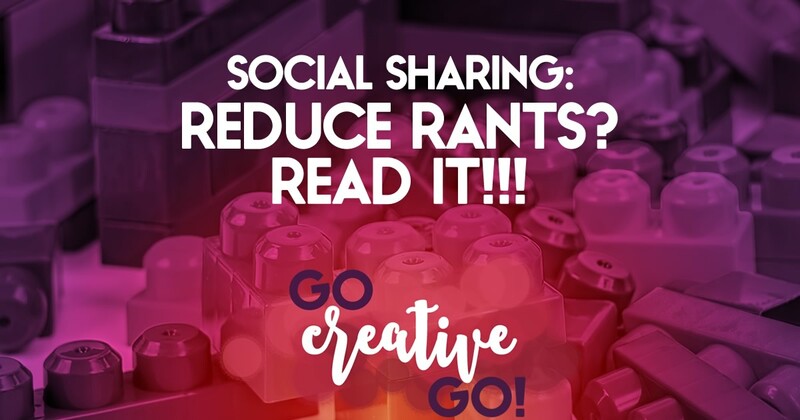 That response might sound wishy-washy and passive aggressive in other applications, but when it comes to the “best” time to post social media shares in order to “best” impact reach and engagement, it is the BEST answer. Because the best time for my audience might not be the best time for your audience. Even within my own circle of influence, the best time for my audience in June might be vastly different from the best time in January. 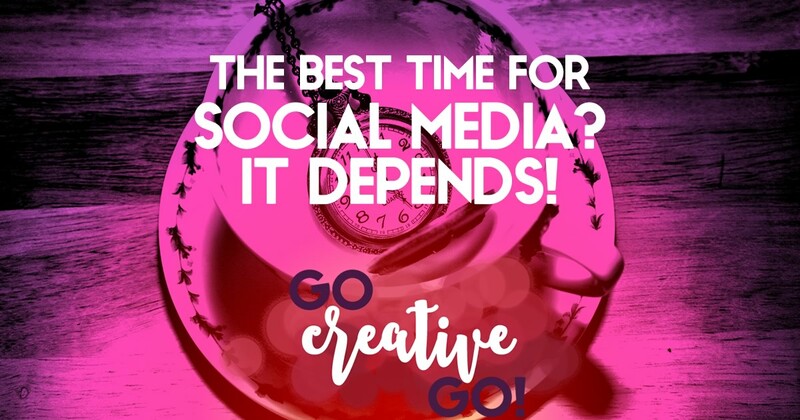 It’s all about putting in the time and effort to craft the kinds of social media shares and posts that suit the needs of those you’re trying to reach. Then you gotta monitor your most important metrics to see what works and what doesn’t. And you’ve gotta do that over and over and over again. Social media marketing isn’t a set it and forget it kind of endeavor. The practice, the strategies, the tactics evolve over time. As do the “best” times to reach your audience. I can get on board with a one-size-fits-all scarf. It make sense. But there’s nothing sensible about a one-size (or time) fits-all solution for social media marketing. 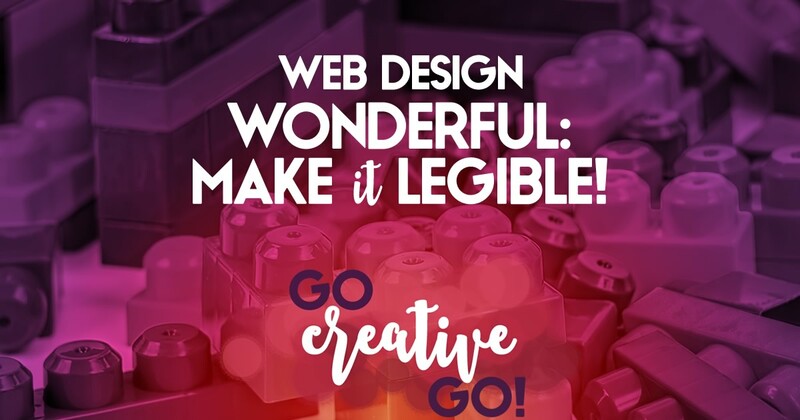 http://www.gocreativego.com/wp-content/uploads/2015/09/GCG-pinnable-it-depends-1.jpg 1080 735 Mallie Hart http://www.gocreativego.com/wp-content/uploads/2016/07/GCG-sitelogo-new.png Mallie Hart2015-09-30 09:49:352016-10-27 21:17:04ENOUGH! There Is NO Single Best Time For Social Media! 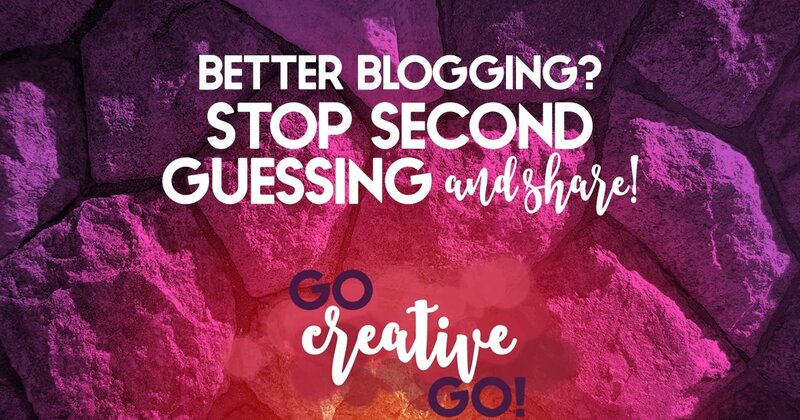 Better Blogging: Stop Second Guessing And Share! So, why do you blog? You’ve been told over and over again that content is KING and that blogging is the best way to reap any rewards from this king’s reign. Is that the only reason you sit down at the keyboard? I’m guessing not. I’m guessing you’re trying to connect with your audience as much as you’re trying to create content for publishing and sharing. I could be wrong, but that’s my gut feeling and I’m sticking to it! Some of my readers might say I trust my gut a bit too much and sometimes share thoughts in a way that borders on shameless. They’re entitled to their opinion, just as I’m entitled to mine. But those few opinions aren’t going to stop me from sharing what I believe to be of value to my true audience. Those few opinions aren’t going to change my blogging style, nor will they cause me to squelch my unique voice or message. I could certainly comb my feeds, plug phrases into popularity searches and do my darnedest to dabble on topics that have already been well discussed, in a bid to boost any budding popularity I’m attempting to possess. But where’s the value in that? I often, leading up to my final publish, wonder if I’ve finally pushed the envelope that tiny bit too far. Wonder if this is the post that’s going to cause a reader to lose his/her cool and really let loose on me. I have moments of worry, concern, even fear before I finally let an article fly. I might change a sentence or two. Tone down a line or two. But I’ve never shelved an article fearing that it was too much. Sure. You have to consider your audience before and after the publish. You must be prepared for discussion and the possibility of dissenting opinions. These discussions can grow heated. You might face anger and misunderstanding. Someone will almost certainly feel that you’re calling them out personally, even though that was never your intention. LOL. To this day there’s a certain social media marketer who’s certain a specific article is about her. Funnily enough, she never crossed my mind as I was writing it. Perception is often a funny thing. But you can’t please everyone. And if you try, you’ll find yourself wandering down a path that leaves your unique voice, your brand message, pretty much your whole business identity, falling behind, feeling forlorn, abandoned and alone. Yes, you’re publishing in order to be read. And, of course, you also hope those who read will help spread the word with a little (okay, a LOT) of social sharing. But deep down you’re publishing to provide value to your target audience, hoping to connect, engage, and eventually make a sale. With whom do you really want to work? I know that I want to to work with clients who share some of the same thoughts, ideas, and opinions that I happen to share. And that’s why I don’t shy away from sharing those ideas in my articles. The point of my blogging isn’t the social shares, though they are quite nice and I suppose seeing decent sharing numbers provides me with a little social proof, which might mean something to certain members of my ideal audience. That ideal audience is the real reason for the publish though. I’m looking to connect, via my blogging efforts, with like minded individuals with whom I can collaborate on future projects. If being the real you alienates a handful of readers, you have to consider a hard fact. Those readers weren’t your ideal audience after all! If you’re prevaricating and pandering trying to appeal to an audience, neither party benefits. It’s a lose-lose endeavor. Are You Second Guessing? Rather Than Sharing? What’s holding you back from digging deep and sharing the real you with your readers? http://www.gocreativego.com/wp-content/uploads/2015/08/GCG-pinnable-second-guessing.jpg 1080 735 Mallie Hart http://www.gocreativego.com/wp-content/uploads/2016/07/GCG-sitelogo-new.png Mallie Hart2015-08-03 08:13:182016-10-01 15:10:34Better Blogging: Stop Second Guessing And Share! 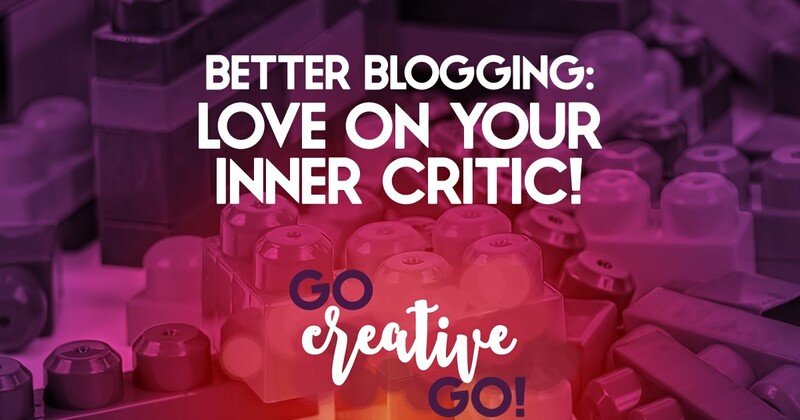 Better Blogging: Give Your Inner Critic A Squeeze! I read and share a lot of articles about writing, blogging and content marketing. One school of better blogging thought centers on simply writing without worrying about what you’re actually producing and, ultimately, publishing. It’s the “just do it” mantra for content marketing. We’re told to ignore that little voice inside, our inner critic, and just blog away. As you can probably guess, given my penchant for the devil’s advocate point of view, that just doesn’t sit well with me. As previously stated, a lot of blogging advice centers around just sitting down and writing. This is great for those that have a hard time getting words on the screen or page. It is true that the only way to make writing easier is to get into the habit of writing. Sitting down to write isn’t enough to create a read that will really resonate. Getting into the habit of writing isn’t going to help you if you settle into poor writing habits. We’re told that consistency is key when it comes to blogging that builds an audience. Unfortunately, too many bloggers tie consistency to frequency alone. Consistency, in blogging, must also be tied to the publishing of quality content. The kind of content that doesn’t make readers cringe. On the road to quality content and the best blogging, there are many steps between writing and publishing. Steps that can’t be ignored. Read Aloud And Listen To Your Inner Critic! When I ran the Social Solutions Collective, I spent a lot of time proofing and editing articles before they were ready for publish. Sometimes, when you’re editing by eye, you just know that something’s a little bit off, but can’t quite suss out exactly what’s wrong. When your eye fails you, let your voice and ears tackle the task. Reading your article aloud is one of the best ways to ensure it’s error free. When you sound out your contractions, you’ll catch many of those “its vs. it’s” mistakes, as well as many more. Reading aloud also helps you see if you’ve failed to prove your point. Is there really any point in publishing an article that doesn’t actually prove the point you’re trying to make? Don’t Diminish Your Content With Duds! Duds happen. To everyone! You never know when that great idea will make the slow slide into seriously less than stellar content. When we interviewed Mike Allton on Ready, Set … Podcast, he told us about his “dud” folder. That’s not what he calls it, but he does have an Evernote folder where he stores the blogging beginnings that just didn’t pass muster. Sometimes, when you sit down to write, all you’re going to produce is schlock. And that’s A-OK … as long as you don’t publish it. Hold onto the duds for a little while. You might be able to turn it into something worthy and worthwhile. Or you may decide to delete it after a few re-reads, when you realize you’re never going to be able to turn it into quality content. Just don’t publish it. Don’t publish for the sake of publishing. Consider the quality, every time. Your inner critic often gets an undeserved bad rap. Sure, he/she needs to get slapped down if his/her voice keeps you from EVER moving forward with your ideas. But, your inner critic often has your back. Listen to that niggling voice when it asks whether or not that blog post is worthy. Take the time to further investigate before you decide to ignore it. It just might keep you from publishing a real dud! http://www.gocreativego.com/wp-content/uploads/2015/05/GCG-pinnable-inner-critic.jpg 1080 735 Mallie Hart http://www.gocreativego.com/wp-content/uploads/2016/07/GCG-sitelogo-new.png Mallie Hart2015-05-20 08:17:412016-10-07 18:21:37Better Blogging: Give Your Inner Critic A Squeeze!